"There's nothing like discovering a well-kept secret. I remember the first time I heard Debra sing. She was visiting England, staying with mutual friends; so naturally we had met. She was booked to sing at my local folk club. I therefore had two good reasons to go - support the club and support a new-made friend. A seasoned club and concert goer, with many years of music industry and radio experience, I seldom used the word thrilled. But the moment Debra began to sing - an a capella folk song, as is her wont for opening numbers - it was the only word that came to mind. Pure, precise, yet still emotional and utterly captivating, her voice was accompanied by only one other sound in the room ... the noise of forty-odd jaws dropping. From serious traditional to contemporary bawdy, always with informed and informative introduction, song after song flowed in a rich quilt of melody. The room, it has to be said, contained many professional singers from this side of the Atlantic who were amazed that this was the first time we had heard Debra. We had been told she was good - which only serves as proof that the English are masters of understatement. But what makes Debra good is not her superb voice, nor her skillful guitar playing, nor her varied repertoire, nor her extensive knowledge of her music, it is, plain and simple, the fact that she loves singing, and her passion for her music is there in every note she utters. Since that day, I have heard Debra on every occasion I could - from a big concert stage as support for Ashley Hutching's (Fairport Convention, Albion Band, Rainbow Chasers) band to a modest sing-around in my own cellar (an honour indeed); there was even an impromptu bit of Tom Lehrer while walking through the night-time streets of Leeds and espying an advertisement for a production of Oedipus. Yes, Debra seems to have a song for every occasion - and it is always the occasion for a song. If you have never heard her sing, then do next time she is anywhere near you (you can, and will, thank me afterwards); if she's not near, then get her album. If you have heard her, then now is the time to tell me I have understated her wondrous talent." Debra Cowan was once asked what kind of songs she writes. Her reply? "Bad ones. Besides, there are so many good songs out there written by others and they should be sung." Her captivating warm alto carries each folk song she chooses with such emotion that you'll forget that they were written by others. She performs a cappella and with guitar in the great tradition of folk singers like Joan Baez and Judy Collins, with a clear vocal that calls forth the ghosts of long past but can also offer a more modern urban landscape. In her 2012 release, a live recording entitled "Among Friends", she demonstrates her ability to interact with her audience and have them enthusiastically sing along on choruses and refrains. As a young girl she idolized Julie Andrews and in her teens discovered Jethro Tull and Steeleye Span. At the age of 21 she decided to leave the small Midwestern town where she lived. She threw darts at a map and ended up in northern California where she attended college, sang in bars, and eventually worked as a middle school math teacher. A chance encounter with a "mix tape" consisting of John Roberts and Tony Barrand, Lou Killen, Ray Fisher and the Copper family introduced Debra to many of the ballads and songs she had been familiar with previously, but performed in very different ways. Debra began performing in California 40 years ago and began touring in 1998, with frequent stops in the US and UK, from folk clubs to festivals like the Old Songs Festival in New York and Broadstairs Folk Week in England. That led her to where she is now, a full-time singer who bridges the old and new with a refreshing stage presence - she may start with a moving ballad like "The Rainbow," a profile of one woman's courage, and segue into "Johnny Be Fair," about a poor lass who can't marry anyone in town because, well, she's related to everyone. Debra's shared the stage and sung with artists as varied as Colum Sands, Tret Fure, and Si Kahn. For the last nine years she has been joining her good friend, John Roberts for a number of tours and on their newest CD, "Ballads Long and Short". She has collaborated with well-known guitarists Brooks Williams, Bill Cooley (Kathy Mattea) and British fiddler Tom Leary. Her third solo recording, "Fond Desire Farewell" was arranged and produced by former Fairport Convention drummer Dave Mattacks and in 2018 they have begun work on a brand new collaboration. She's performed in many prestigious UK venues and for six months in the late 90's held a residency at Sandy Bell's Bar, Edinburgh's premier folk music pub. She has performed many times on nationally syndicated American live radio shows such as WFMT's Folkstage, hosted by Rich Warren, WVBR's Bound For Glory and Tom May's River City Folk. 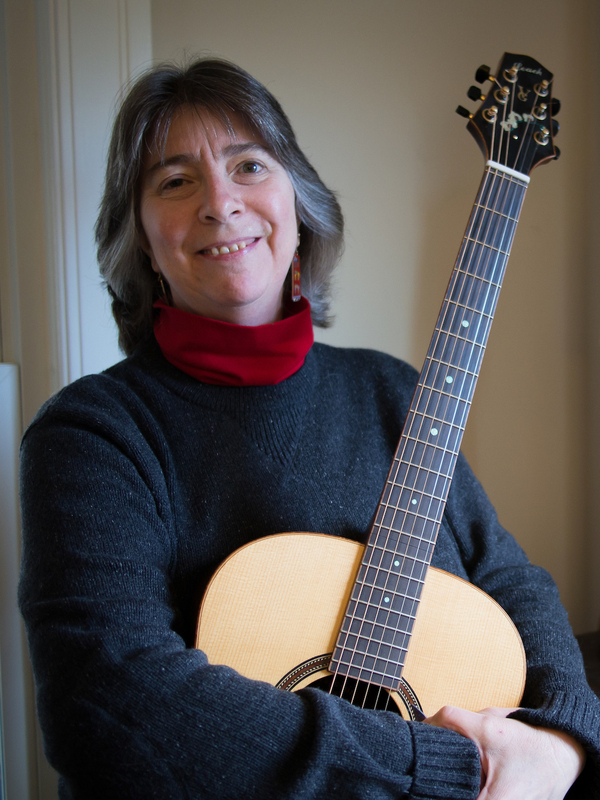 Her recordings have won high praise from both sides of the Atlantic and her music has been included in many compilation recordings, most notably on the 2006 Free-Reed Records box set "RT-The Life and Times of Richard Thompson" and the 2014 "Dear Jean: Artists Celebrate Jean Ritchie". 100% of ticket revenue goes to the performers.